"In the recent case reported from Bareilly district of Uttar Pradesh, the report from the state government indicates that the deceased was an AAY ration card holder and had received foodgrains till the month of October 2017 regularly," the Union food ministry said in the statement. 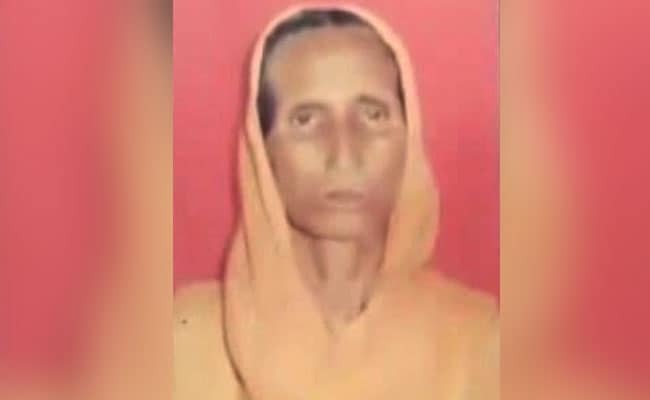 New Delhi: The Centre on Saturday said Shakina Ashfaq, the woman who died recently in Bareilly district in Uttar Pradesh due to alleged starvation, was an AAY cardholder and had received the PDS foodgrain till October on a regular basis. The AAY (Antodaya Anna Yojana) cardholders are the poorest of the poor. The state government report also indicates that the foodgrains for the month of August and September 2017 had been taken by her husband without Aadhaar-based authentication and in the month of October 2017 by herself after Aadhaar authentication, it said. Stating that the Centre is fully aware of challenges in the transition to the point of sale (PoS)-based Aadhaar authentication system in the public distribution system (PDS), the ministry said that the states have been asked not to deny ration to the poor. "It has, therefore, issued clear-cut instructions to ensure that while Aadhaar-based authentication needs to be promoted, no eligible beneficiary under NFSA should be deprived of the entitled quantity of foodgrains for want of Aadhaar number or failure of biometric authentication." In October, about 47 per cent of the PoS transactions were reported to be without Aadhaar-based authentication which clearly indicates that state governments are enforcing the guidelines regarding not denying benefits under the national food security law on account of the absence of Aadhaar-based identification, it added. There are 5.2 lakh Fair Price Shops (FPSs) in the country covering 80.7 crore persons under the food law against 23.2 crore ration cards. The 2.83 lakh FPSs in 20 states/UTs have PoS devices for electronic capturing of sale transactions. Further, states have been making efforts to seed ration cards with Aadhaar number and so far 81 per cent ration cards are reported to be seeded with Aadhaar number of at least one family member. The seeding of Aadhaar number is aimed at biometric identification of the beneficiaries for the rightful targeting of the foodgrains provided under NFSA. The Centre also said that most of the states/UTs have also put in place an elaborate institutional mechanism for monitoring of PDS operations and grievance redressal, as provided under the food law. "The central government is also in constant dialogues with the states/UTs to address the issues pertaining to smooth and seamless transition to the new system of Aadhaar based authentication in PDS with a view to bring about greater efficiency, transparency and accountability," it added.